A current Nurse Practitioner at Medi-Test, Amelia Calderon is being appointed into the American Health Council’s “Leaders in Nursing”. With 2 years in her current role, and 11 years within the healthcare industry, Ms. Calderone brings with her a wealth of knowledge and expertise in Occupational Health, Family Health, and Primary Care. 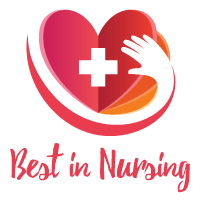 Earning her Associate of Science in Nursing from Polk State College in 2008, Ms. Calderon went on to obtain her BS in Nursing, MS in Public Health Nursing and Masters of Science in Family Practice from Nova Southeastern University in 2011, 2012, and 2015. Ms. Calderon became involved in her current profession after her brother had a motor cycle accident. She stayed in the hospital with him and observed the nurses who were working there. Knowing she always enjoyed taking care of people, Calderon wanted a career where she was needed, and could help people with things others usually take for granted. Initially beginning her career as an LPN, Calderon decided to obtain her Associate’s in Science as a Registered Nurse, continuing to work and obtaining her BSN. At Medi-Test, Ms. Calderon is engaged in day to day responsibilities, which include working in Occupational Health five days a week, where she evaluates and treats patients that range from sick visits, patients without insurance, Department of Transportation follow-ups, to workers with compensation injuries. On the weekends, Calderon works at Bond Clinic Urgent Care and occassionally Lakeland Centre. She enjoys promoting patient independence and family well-being through education and patient centered planning. She also enjoys the diverse populations and challenges she encounters daily in her profession. 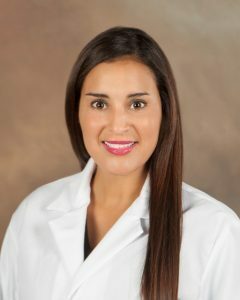 Calderon cites attaining her two Masters degrees as professional accomplishments, and has been awarded a Certificate for Outstanding Clinical Expertise for Precepting Nurse Practitioner Students from Nova Southeastern University. She is professionally affiliated with the Polk County Advanced Practice Nurses Association and the American Association of Nurse Practitioners. Professional goals within the next 5 years for Ms. Calderon include going back to school to earn her DNP. In her spare time, she enjoys volunteering at Work Health fairs, working out, and teaching group fitness classes. Medi-Test is an Occupational Health clinic which specializes in work loss prevention programs, striving to decrease the prevalence of drugs in the workplace, through Drug Free Workplace programs and DOT mandated testing, including Mobile Audiometric Testing Services.